In modern fashion technology, the demand for perfection begins right at the birth of the raw material, permeates through every single process, till the highly discerning customer dons the finished garment. It is this demand for perfection that has spurred the growth of an organisation and its corporate philosophy. Those who can furnish clients with the best quality, competitive price, excellent customer services and prompt delivery can only survive in the market. 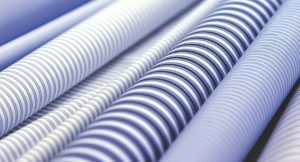 Kallam Textiles Limited takes immense pride in perceiving its role as the comprehensive architect of every single yarn and garment that its produces. Kallam Textiles Limited is a multi-unit, multi-interest business group with a wide range of industrial activity, an organisation that has founded its evolution on value-based commercial practice. Kallam Textiles Limited was established in 1994 with an initial capacity of 12,000 spindles. Over its two decades of chequered growth it has expanded to 59280 spindles — 2912 rotors. 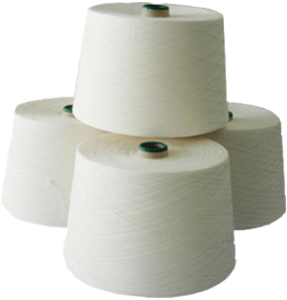 The company commenced operations with the manufacture of grey, gassed, mercerised and dyed cotton yarn. Today, the company has carved a niche for itself on the textile map of the country. Our company is focused on meeting our customer’s individual needs. We exist to provide Superior customer satisfaction – developing solid, long-term relationships with our customers.